Obtained Masters of Technology in Bioinformatics from University of Hyderabad and Bachelors of Technology in Computer Science and Information Technology from Jawaharlal Nehru Technological University, Hyderabad. 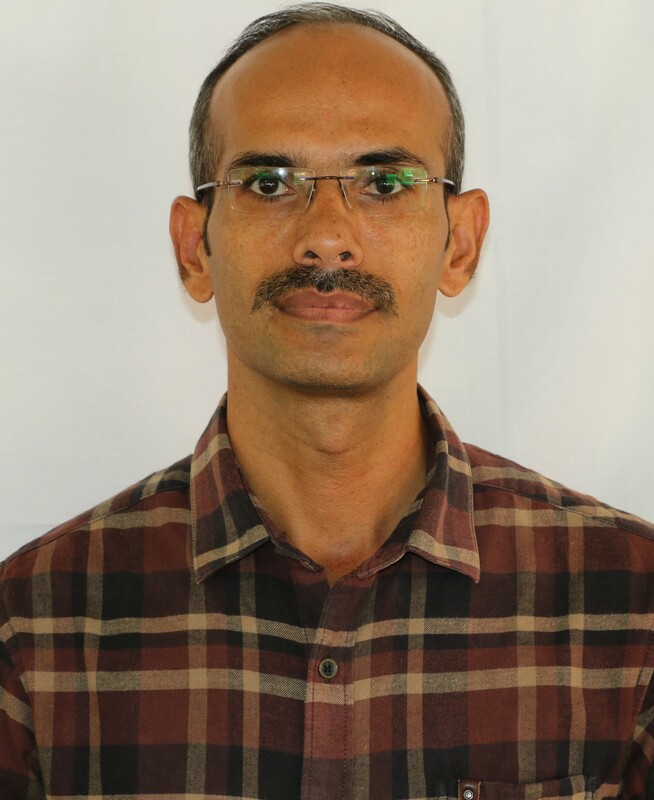 My research is focused on Software and Bioinformatics, to evaluate life science problems and provide solutions by developing Software/ Database and Computational Bioinformatics approach. Assessed Transcriptional sequences for understanding diet interventions, in-silico modeling and validation: Anti-inflammatory potentials of Poly-Herbal Nutraceuticals, in-silico analysis:Nutritional interference fighting against Diabetics &studying Degenerative Diseases, in-silico study: proposed Neurolathyrism is due to beta-ODAP rather than Glutamate, Identification of Epitopes on Allergens and homologous sequences, for regulatory review evaluating potential Allergenicity of the recombinant proteins Bar, Barnase & Barstar in Genetically Engineered Mustard for pollination control in plant breeding, biological activity IC50 association with LOGP value/ G3e/ Rte+ analyzed using linear & non-linear QSAR/ MLR/ SVM different kernels, Molecular Docking Investigation: Oral Oncogenesis anti-angiogenic effects of phytochemical Ellagic Acid blocking VEGF mediated tumor angiogenesis, etc. Database/ Software/ Website/ App development: Indian food borne disease surveillance, Count what you eat, OpenData Kit App forms for national survey, in-house ms-access data entry form designing, computer aided tool for high-throughput phenotyping. Programming skills in Java, Perl, R, MySQL (Design, Development, ER-Maps, etc. ), Web development Technologies, Database development, Solaris/ Linux/ Windows, Application development, Agile Software Development Methodologies, UML/ State/ Sequence/ etc. diagrams, Cloud Computing, High Performance Computing, MPIs, etc. Open Data Kit Application Form Designing & Development, App Development for PDA’s. Computational Bioinformatics, Molecular homology modelling (structure, ligand & fragment-based drug discovery, ADME modeling)/ docking/ dynamics and simulations, Cheminformatics, Micro-array analysis , Pipeline deployment, ICD-O-3/ ICD-10 codes. 1. Kowshik J, Giri H, Kiran Kishore TK, Kesavan R, Vankudavath RN, Reddy GB, Dixit M, Nagini S. Ellagic Acid Inhibits VEGF/VEGFR2, PI3K/Akt and MAPK Signaling Cascades in the Hamster Cheek Pouch Carcinogenesis Model. Anticancer Agents Med Chem. 2014 Jul 23. 3. Ankulu Ma, Aparna.Na, Amol Shirfulea, Raju Naik Vankudavathb, Arjun .L. Khandare a. Putative ligand-target docking studies of human AMPA selective Ionotropic glutamate receptors reveal that beta-ODAP has high binding affinity compared to tyrosine and glutamate. Int Res J Biochem and Bioinfo. 2013 Aug, Vol.3(8). 1. Chetan C. Nimgulkar, Raju Naik Vankudavath, Sudip Ghosh, K. Bhaskarachary, B. Dinesh Kumar. In-silico and in-vivo validation of herbal and nutraceutical combination as anti-inflammatory agent. Indian J Pharma. 2011 Dec. Vol 43, G-Achari Prize-9, supplement 1-S199. (Impact factor: 0.691).